What Are Samsung Preparing for the Rest of 2017? For the South Korean tech giant Samsung, 2017 is a year FULL of promises. An innovator throughout its long existence, the company has always managed to reach commercial success through its technological breakthroughs. A trailblazer worthy of following for its competitors and a source of quality electronics for its customers, Samsung has a lot to live up to this year as well. Less tangible but with an immense impact, the digitalization efforts and innovations of Samsung have gone unnoticed, lost in the web of smartphone announcements. The fact is that every single one of the company’s devices is seamlessly integrated into an end-to-end offerings system of devices, solutions, and services. The corporate citizenship and digital-centered classes offered by the Samsung School, the development of the Samsung ARKTIK Platform, and its exclusive account features, the Tizen 4.0 system, the fourth-generation SMART signage, the Samsung Incubator start-up program in Poland and others lead to interconnectivity between the physical and the digital as never before. With a high processing power, multiple digital innovations, and a seamless login process, the company is bound to double its customer base in the nearby future. As the flagship of development and making up much of the profit for Samsung, smartphones are definitely the focus of the company. First and foremost, coming back from what it can be called its biggest flop – the “explosive” launch of the Galaxy Note 7 – Samsung is definitely launching the Galaxy Note 8 in 2017. Woah! and is capable of 3D Print! 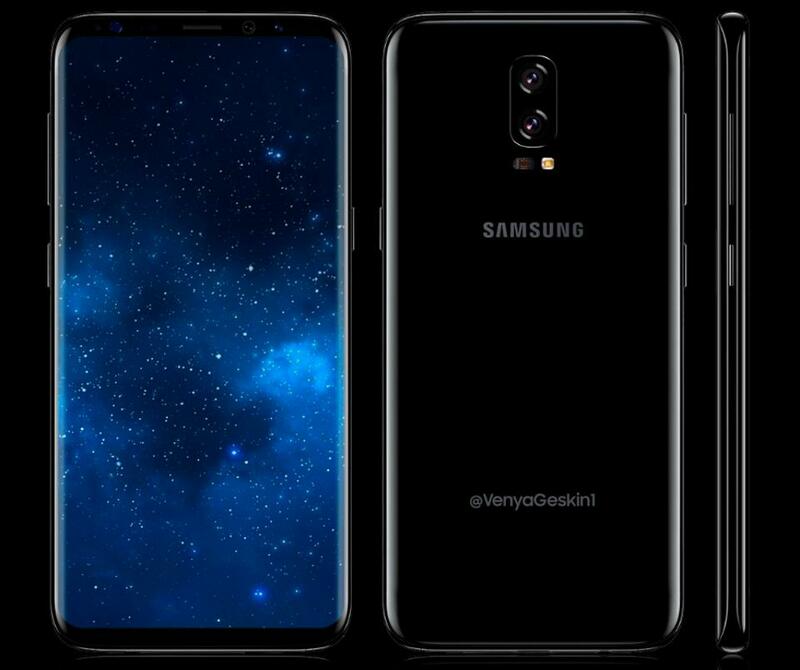 With an expected release date in October or November, the Galaxy 8 has been wrapped in rumors ever since it was first announced, some going as far as attributing it with a fully foldable screen. Extremely well reviewed, the coming out of the new Galaxy model is a certainty of 2017. The smartphone will be the bearer of Samsung’s new visual language concept, a perfect synthesis of the external and digital space. However, Samsung’s projects are manifold, and almost all promise innovation in its highest degree. Still in the realm of smartphones, the foldable model itself – now rumored to bear the name Galaxy X – has been a project of Samsung since 2011 and it was presented at CES 2013 as the “Youm”. However, such a phone is still far from being made available for commercial purposes. More tangible are the new J7, J5, and A5 models, with release dates to be announced later this year as well. A12-megapixel rear camera and 64GB of internal storage. Another expansion of the Tizen ecosystem promoted by Samsung comes in the form of the Z4 model. Centered on faster than before network connectivity, an optimized camera, and enhanced usability, the Z4 is the embodiment of smartphone simplification. All of the prime features have been kept and integrated with an easy to use a framework, unlike the ever more complicated usual smartphones. Despite being known nowadays especially for its line of smartphones, Samsung has many other developments in other areas. One of these is the design and production of TVs. Already at the top when it comes to quality, the company has taken TV design to the realm of arts. In 2016, furniture designers Ronan and Erwan Bouroullec created the Serif TV, which was later unveiled at the Museum of Modern Art in the US. In March 2017, Samsung took it a step further, releasing a television that also functions as a piece of art on the wall. 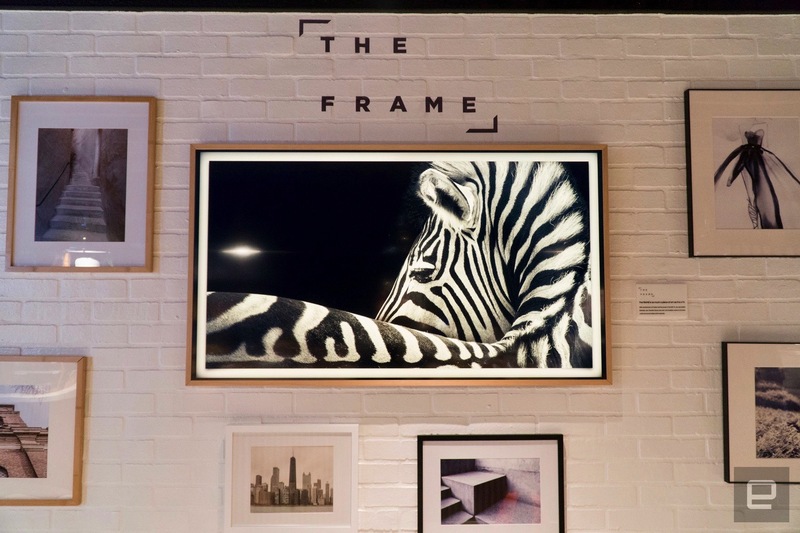 Samsung's The Frame, the television was displayed in the Louvre and at the 57th Biennale di Venezia, the world’s largest art exhibition. At CES 2017 in Las Vegas, Samsung came prepared with the new QLED TV lineup. Stylish, detailed and with lifelike quality, the QLED TV is an innovation in itself, combining function with form. Aside from innovating in separate and singular fields, Samsung’s operations stretch across several domains and fields. However, the goal is the same – to create a reunited, integrated system of devices and solutions to better life as we know it. For the company, 2017 represents a big step forward in that direction! 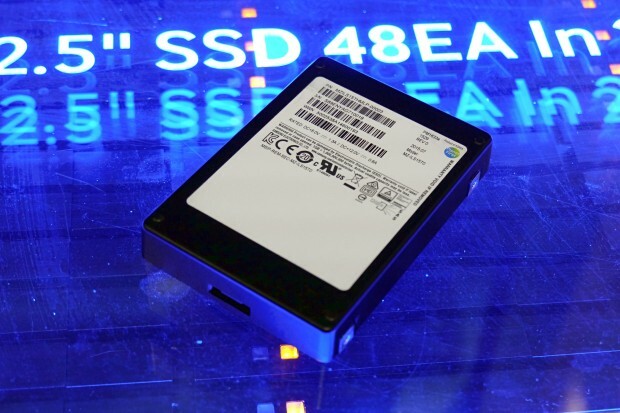 Samsung unveiled its largest solid state drive(SSD) with 15.36 Terabytes. Samsung's PM1633a with a size of a pocket, 6cm long. Our need to store information are quite alarming and ever-increasing its demand for more storage capabilities — be it photos, music files, video games, or TV series. While some of us don't really care about storage especially in industry level. Data storage is one of the top priorities! It might have a boring name but it targets enterprise level in need to manage a huge amount of data storage. Do you need extra space for your files? Samsung has announced, probably the world's highest capacity hard drive, its 2.5inch hard drive that can store up to 3 million songs. At the Flash Memory summit in California, Samsung unveiled its new solid-state hard drive (PM1633a) with a massive 15.36 terabytes of data space. Samsung known to be manufacturing TV set or smartphones, but this year, the company is reportedly shifting in making a 14 nm FinFET chips for the three major key industry players: NVIDIA, Apple, and Qualcomm this second quarter 2015. Random Access memory (RAM) or Computer's Memory is one of the important hardware components which allows information to read and write, and thus be accessed any memory cell directly. If you have low capacity RAM, you will have a problem using on high-demand software like Adobe Products or hungry-consume-graphic games. Worst, your system will suddenly restart if consumed more of the RAM capability. Samsung Galaxy F Flagship Rumored "Glowing Gold"
If you are planning to buy Samsung S5, maybe you opt to wait for this new gold variant Galaxy flagship at least with courtesy of tech tips @evleaks. Globe's Fair Use Policy (FUP) has lots of complaints both prepaid and postpaid subscribers. According to tech site YugaTech, Globe will be coming out with new postpaid plans called GoSurf that seemingly addresses the controversial FUP issue, upping the cap from 3GB to 5GB. Globe Telecom's venture to tiered data plans is a great testament to Globe's improvement in telecommunications. Despite competition's extension for their uncapped 'unli' service, tiered data plans (tried and tested by the world's biggest telcos like Verizon and AT& T) benefit both the business and the consumers in the long run. Unlike the popular UNLI plans with a 3GB monthly data cap and 2G transition, GoSurf's 5GB looks like Globe's very own version of the tiered data plans that implemented in a lot of countries abroad. This will probably mean, no more throttling! In any way, well, I won't force you to buy your favorite gadget. Enough for those procrastinator-inducing smartphones! Here, we will be more acquainted with health and fitness gadgets. To start with, Samsung unveils its Gear Fit during the presentation at the Mobile World Congress held in Barcelona, Spain. A top-notch on graphics capabilities! Its 2560×1440 resolution SUPER AMOLED display with 8-core processor plus metal body. Brace yourself with this Samsung's latest flagship! 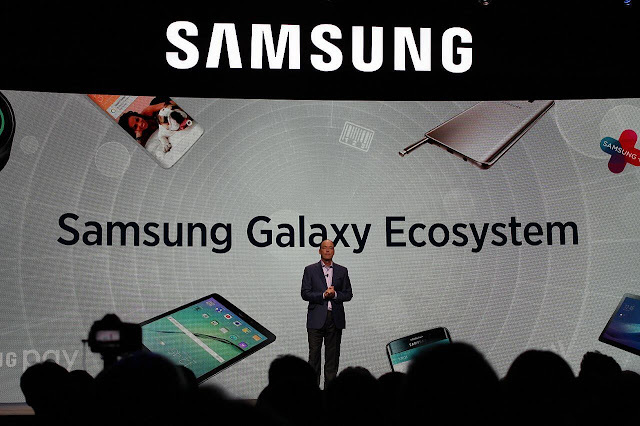 At the International CES 2014, we could expect that Samsung will finally ship its new Galaxy S5 model few months from now. While rumors and concepts are circulating on tech community, some mysteries somewhat revealed exclusively by SamMobile. Samsung announced its security featured two camera during at CES 2014, SmartCam HD and SmartCam HD Outdoor, both WIFI powered IP cameras that could stream at 1080p and have a wide angle lenses of 128 degrees view. These new set of security cameras can be controlled by using mobile app. Are you ready to install it in your own house? With today's trend, mobile industry has been on hype. Growing high rate at short point of time. Now, to enhance a greater experience with the users. The SingTel Group had announced its partnership with Samsung to focus on improving and enhancing next generation mobile experience. Is is really a good news? Can both parties lead the mobile sphere of technology? Are you ready to experience and feel slight different curved display smartphone? It is kinda crazy but it is here. Samsung unveiled its world's first curved display smartphone – Samsung Galaxy Round. Feel excited with this weird technology? Did you ever experience using 4G networks in your location? Perhaps, most of you did not ever tried to use it. Same as me, i did not even have a 4G product, and the 4G network is not yet supported in all location[Philippines]. Are we not behind with other countries? Obviously, we are far far behind. Just in case, you want to know interesting information with the next 4G, the 5G. In which Samsung Elections developed with its first adaptive array transceiver mobile technology operated in the millimeter-wave(mmWave) Ka bands for cellular communications. In this TECHY generation gadgets in all sorts are keeping up to our needs and wants. This classy baby is indeed made to cater that. Who would not buy a camera like no other than SAMSUNG SMART NX300? A camera surely loved by professionals but made for enthusiasts. Here’s the review you must know.